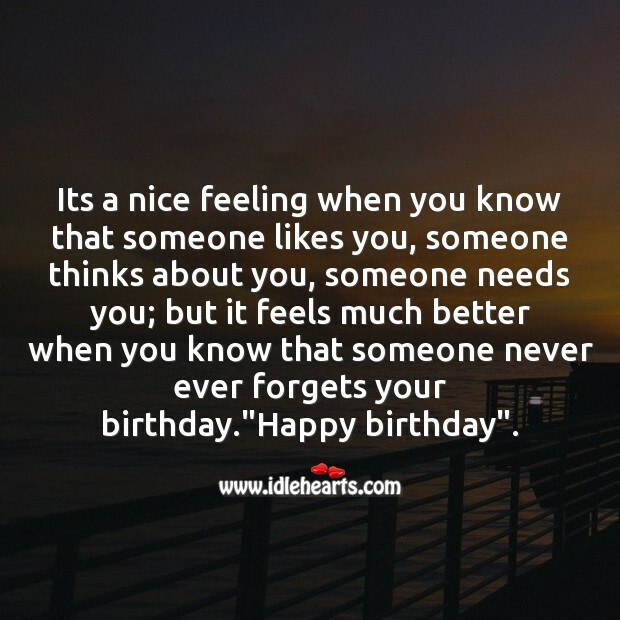 The Best Happy Birthday SMS. Use image quotations as wallpapers, backgrounds to help inspire and keep pushing forward towards your dreams. 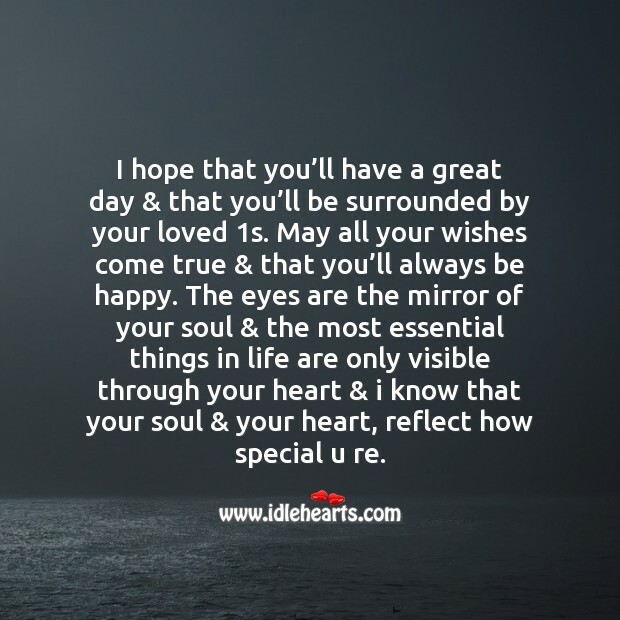 I hope that you’ll have a great day & that you’ll be surrounded by your loved 1s. May all your wishes come true & that you’ll always be happy. The eyes are the mirror of your soul & the most essential things in life are only visible through your heart & i know that your soul & your heart, reflect how special u re. 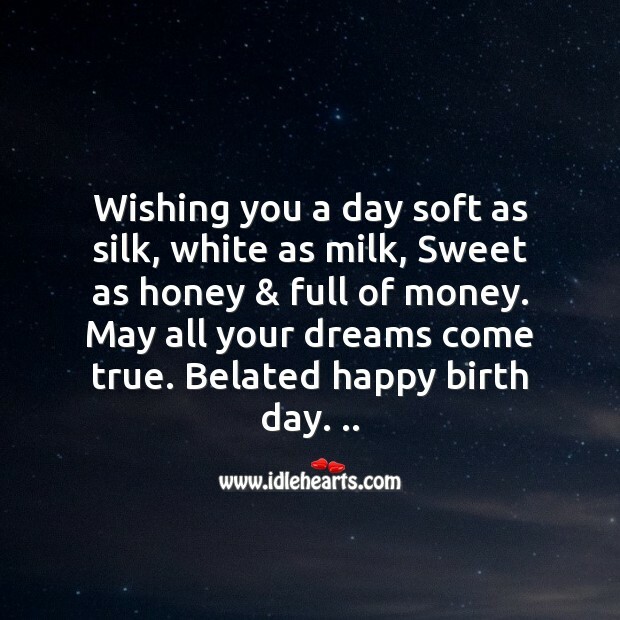 Wishing you a day soft as silk, white as milk, Sweet as honey & full of money. May all your dreams come true. 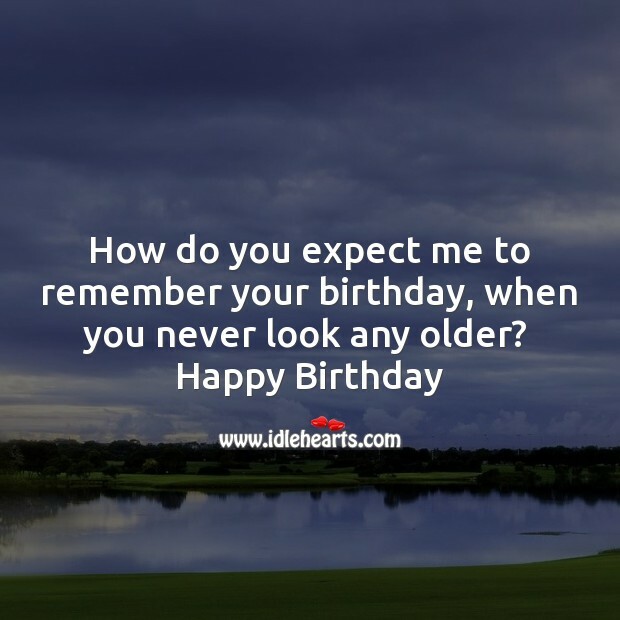 Belated happy birth day. .. Step by step the journey goes on, little by little it may seem so long. Forget about your past, you can”t change it, forget about your future, you can't predict it. Just think about present, you can handle it. Enjoy present... every moment & be happy. 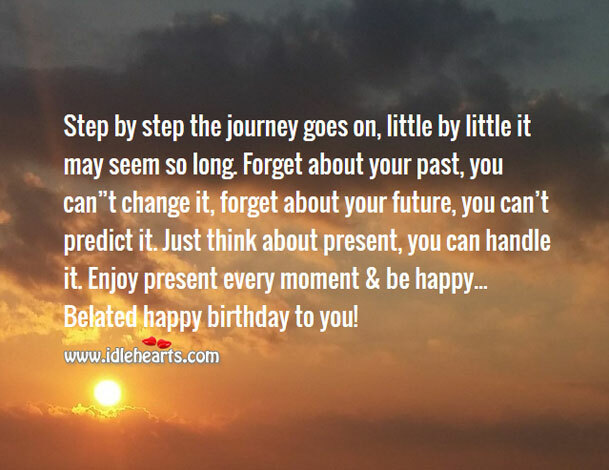 Belated happy birthday to you….! 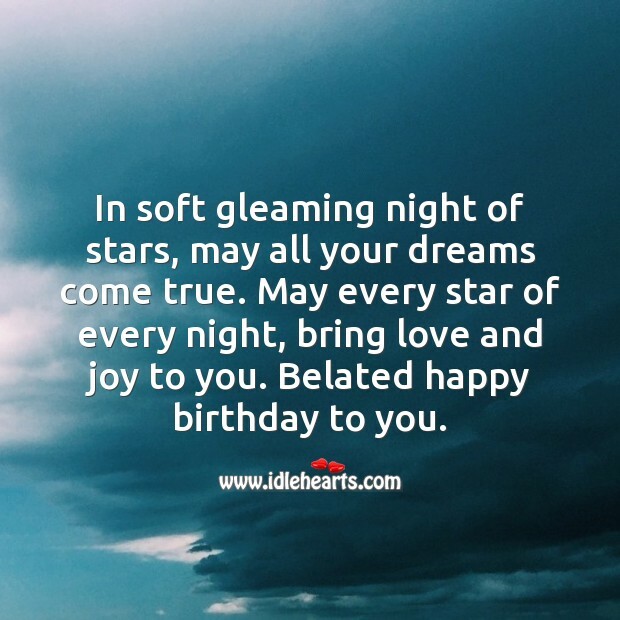 In soft gleaming night of stars, may all your dreams come true. May every star of every night, bring love and joy to you. 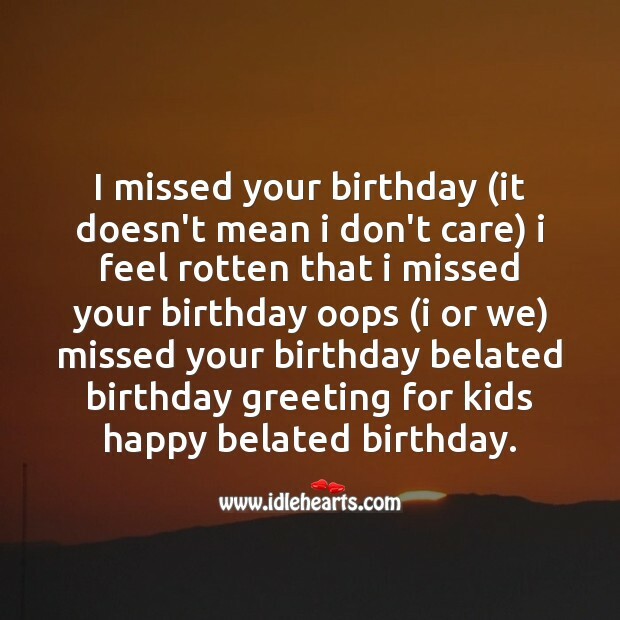 Belated happy birthday to you. 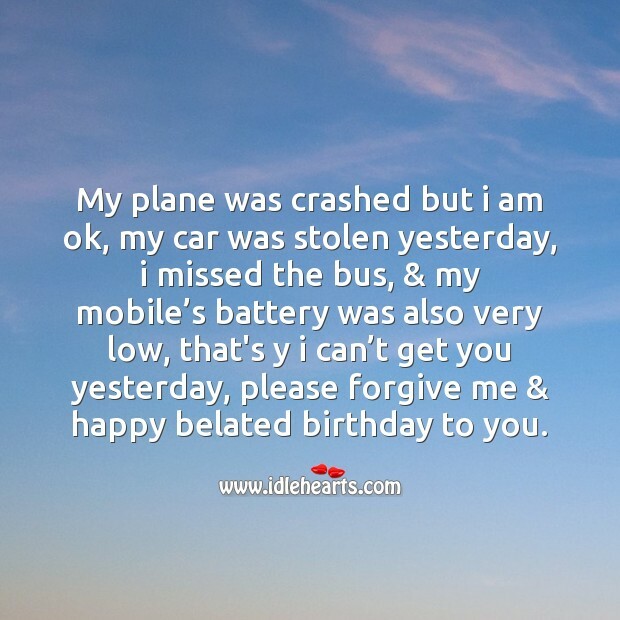 My plane was crashed but i am ok, my car was stolen yesterday, i missed the bus, & my mobile’s battery was also very low, that's y i can’t get you yesterday, please forgive me & happy belated birthday to you. 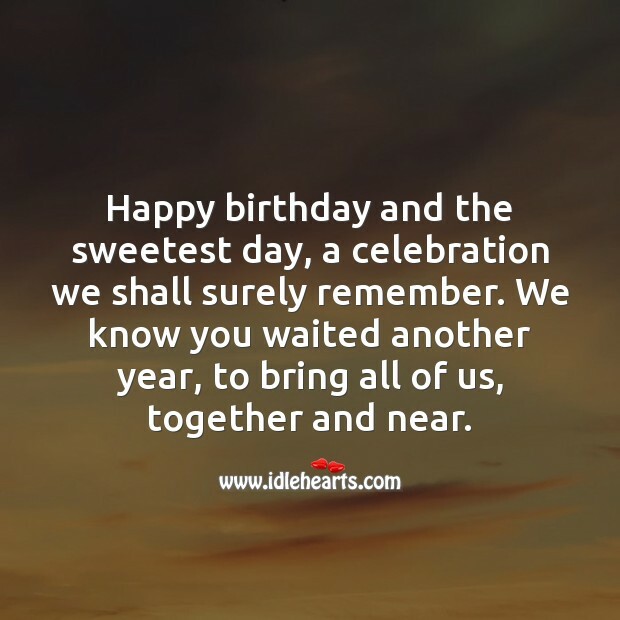 Happy birthday and the sweetest day, a celebration we shall surely remember. We know you waited another year, to bring all of us, together and near. 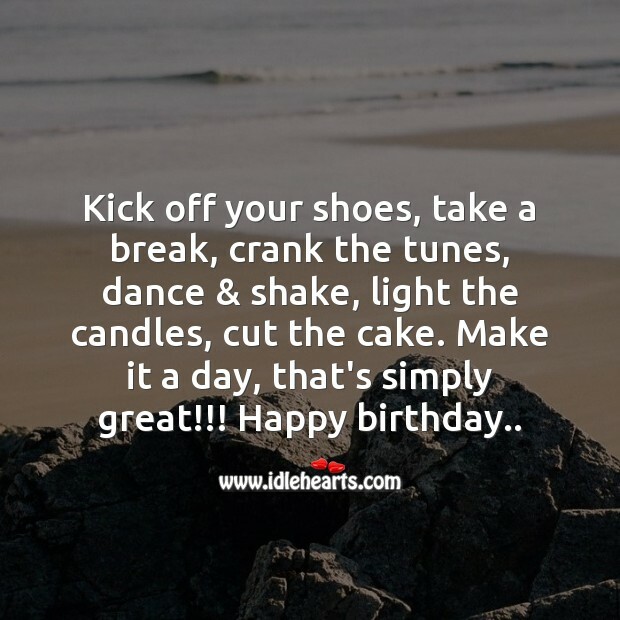 Kick off your shoes, take a break, crank the tunes, dance & shake, light the candles, cut the cake. Make it a day, that's simply great!!! 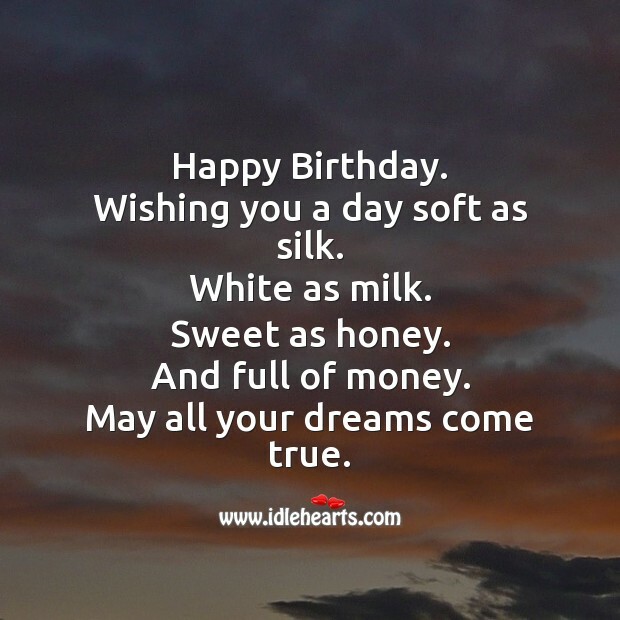 Happy birthday..
´´´´´´´´´´´´´,;****,´´´´ ´´´´´´´´´´´´,*¨¨,“¨¨*,´´´ ´´´´´´´´´´´,**¨¨¨@“;“;;-… ´´´´´´´´´-,¨**¨¨¨¨“)““-““““ ´´´´´´´´//,***¨¨¨¨* ´´´´´´´(,(**/*“¨““¨¨* ´´´´´´((,*/*;);*)¨¨¨¨* ´´´´´((,**)*/**/¨¨¨”¨* ´´´´,(,****. :)*¨¨¨¨¨¨* ´´´((,*****)¨¨¨¨¨¨¨* ´´,(,***/*)¨*¨¨¨¨,¨* ´´,***/*)¨*¨¨,¨* ´)*/*)*)*¨¨* /**)**¨¨“\\)\\) */*¨¨¨¨,…)!))! )…..,( “,¨¨¨¨_)–“–“——/_. 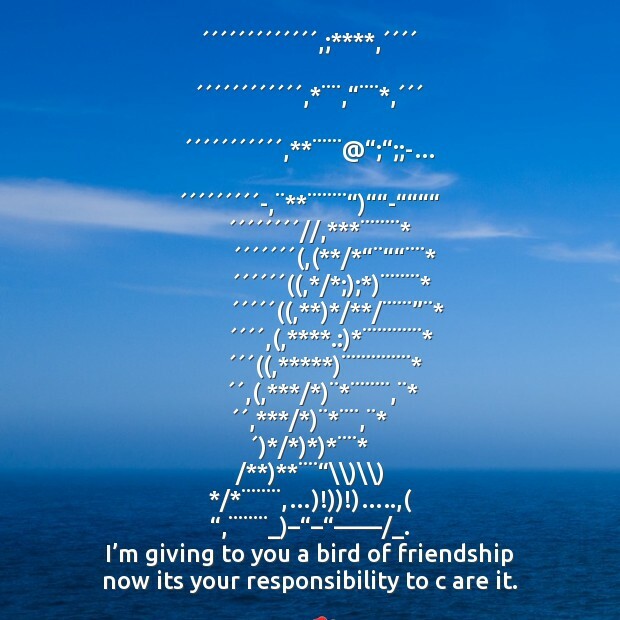 I’m giving to you a bird of friendship now its your responsibility to c are it. 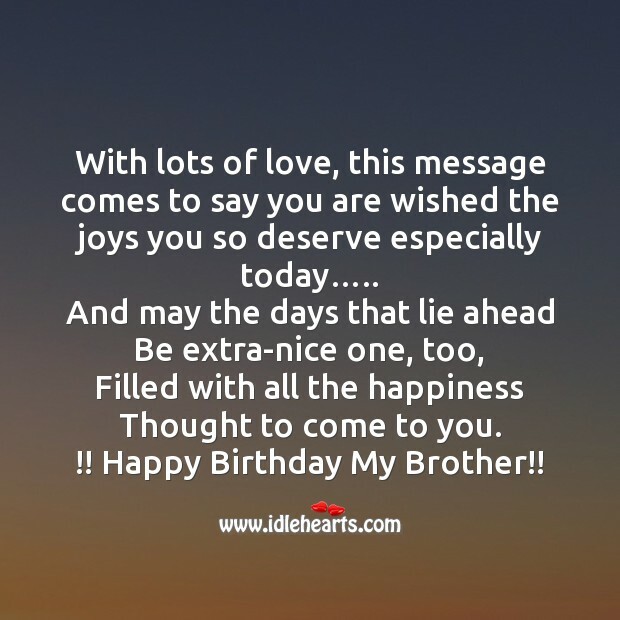 You are there for me, a better brother you couldn’t be The bond we share will always be strong in my eyes brother You can do no wrong Wishing You Wonderful Happy Birthday!! A brother is a little piece of childhood that can not ever be lost. Thanks for being there for me through the years. 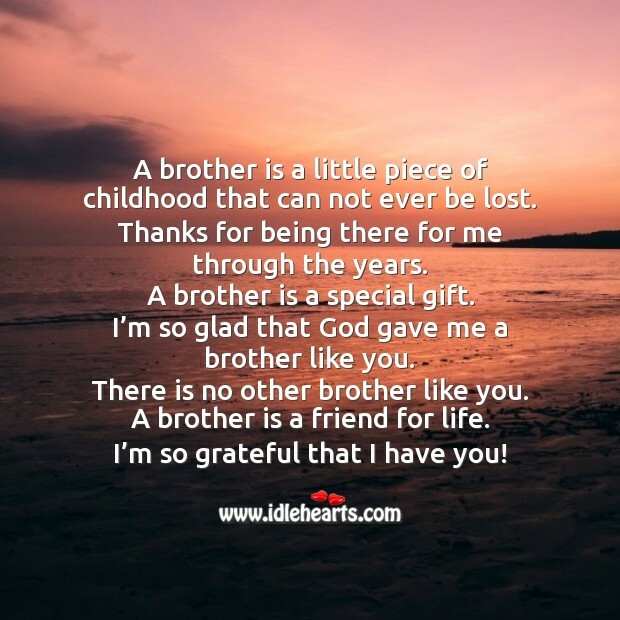 A brother is a special gift. I’m so glad that God gave me a brother like you. There is no other brother like you. A brother is a friend for life. I’m so grateful that I have you! 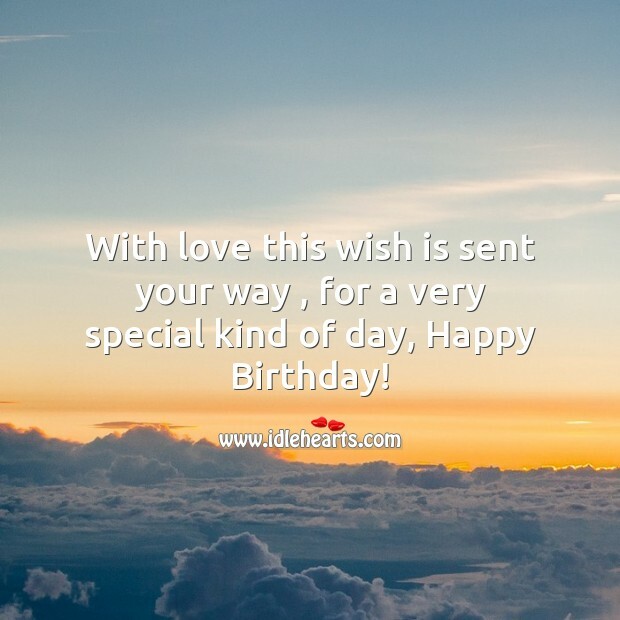 With lots of love, this message comes to say you are wished the joys you so deserve especially today….. And may the days that lie ahead Be extra-nice one, too, Filled with all the happiness Thought to come to you. !! 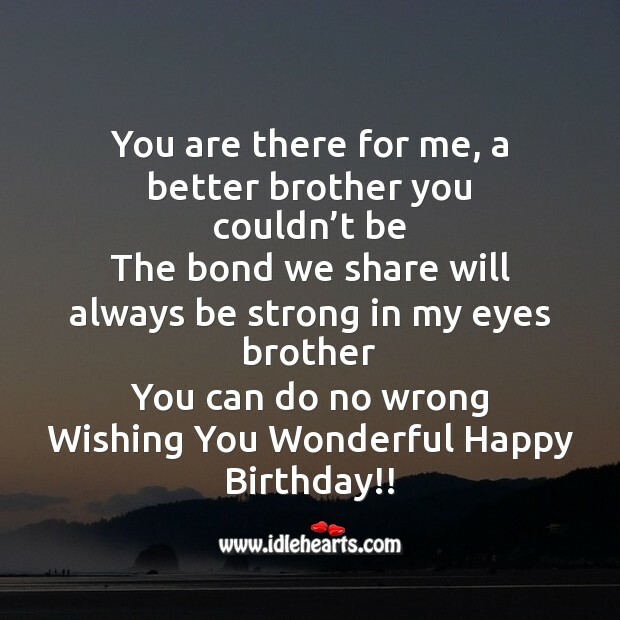 Happy Birthday My Brother! !